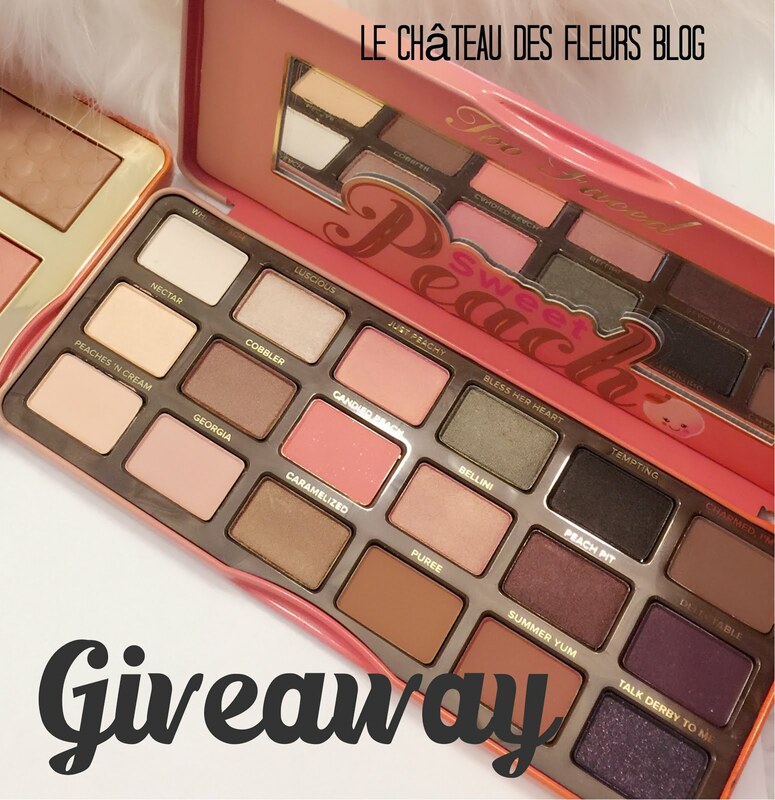 "Isabelle Thornton" Le Chateau des Fleurs: TARTE Amazonian Clay Eye & Cheek Palette Giveaway! 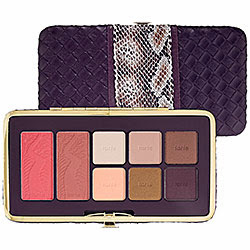 TARTE Amazonian Clay Eye & Cheek Palette Giveaway! A stylish mirrored clutch featuring eye and cheek essentials formulated with Tarte’s biggest beauty breakthrough: Amazonian clay. I love your fashion posts ! I like that you introduce us to items or products that we may not otherwise know about. I love the animal jewelry you told us about yesterday. I love learning about new things. Todays eye and cheek colors are so pretty, and I would enjoy wearing those. Thank you. I love that your blog helps other bloggers improve their blog while being entertaining. It's one of the best blogs I have come cross. I like reviews and recipees! Hi! Greetings from Malaysia! This is honestly the longest most tasking rafflecopter giveaway ever! but definitely worth it because since it's an international giveaway...I really really wish I could win that Tarte Pallette, it's to die for..and they don't sell it here in Malaysia. BTW, just followed you, it's really great if you could follow me back. I like that your blog has an easy-to-follow layout, is cute, and has a variety of topics. Thanks! Oh and I love the design at the top! You have awesome tips about all kinds of things!!! And of course your awesome giveaways to. I like the variety of articles, especially your weight loss journey. I love that your blog has a nice "clean" easy to read look! It is attractive and simple. I also love giveaways too! I love your style in makeup! I love reading your reviews and following the differenttopics.I also love your recipes and the special contests you have for us like "Le Chateau des Fleurs. I love your recipes! thanks for inspiration! So much diversity - fashion, beauty - I like the new information from outside sources. shion and makeup posts and tips a Lot ! I love your reviews and giveaways for such a variety of cosmetics! You've introduced me to lines I've never tried before! I love your tips and the fact that your giveaways are always international! Easy to maneuver around your blog, very informative too..And I love giveaways!! I love the recipes and the fashion. I love the recipes and fashion posts! I love your recipes! You always have such cute ideas, like the Pumpkin owl cupcakes. They are adorable!! That chicken fajita recipe sounds great! I think I'll be making that this week! I like the design of your blog, and of course the giveaways and fashion info. thx. Vicki. you have many usefull tips!! I like the reviews, the fashion posts and recipes. I love recipes and beauty posts! I adore your yummy recipes! I love your fashion posts and that you post so often! I love the way everything is listed. It is easy to read and the reviews are great. I also really love these giveaways! The products are always really cool! I love all your D.I.Y and craft posts! I love fashion, makeup and recipes. Hi, Frenchy! I really love when you do the make up posts...you really should be a magazine model! I love the giveaways and also the uncluttered look of the blog. The reviews, giveaways and your humor. I love the recipes, fashion and the giveaways!!! I love your honesty, your great recipes and your awesome giveaways. I like your many giveaways. Fashion and weight loss journey! I love the recipes, reviews and fashion posts. Your blog is easy to move through, has lots of good info and shows me new things I never would have tried before. Thanks! Interested in some of the new makeup available. Ooh, this would be so fun to try. amo i tuoi post di moda! I love how you just introduce us to many new beauty products that we could possibly not be able to use and know about them. I love the international giveaways! What I like most is the variety and that the site is user friendly and not overly-cluttered. Plus no pop ups. Yeah! Thanks for the giveaway. If I'm being completely honest, the thing I probably love the most about your site is your giveaways, you always have such wonderful items that you give away. But I really love anything you post about makeup, especially reviews and swatches, because it's nice to see the products in action. :-) You have a great site and I keep coming back to read more!